Wrinkles are in essence folds in the skin, which get accentuated with time and under certain circumstances. One of the main causes is sun exposure on fair skins. However, there are many more reasons for wrinkles to appear at an earlier stage. There are some very easy guidelines on how to prevent wrinkles from forming ahead of time. Sun exposure is one of the leading causes of wrinkles and other skin ageing signs. Additionally, it is also one of the causes of skin cancer, including melanoma, which can be life-threatening. Whenever you tan, you are essentially breaking down collagen and slightly (or not so slightly) burning the outer layers of the skin. This is an action that, even though considered beautiful, is actually damaging your skin. Not only natural UV sun rays are damaging; artificial sunbeds are even worse. Tan beds provoke a faster reaction as they expose your skin to higher levels of UV rays. Fair-skinned people that expose their bodies to artificial tan beds have an increased risk of cancer and will produce wrinkles at a way faster rate. By breaking down the collagen, you are directly contributing to wrinkles and fine lines. Not only on your face but also around other parts of your body. And even though Vitamin D is essential and sunlight is a source of it, you need to protect yourself. So if you’re planning on visiting the beach anytime soon, make sure to follow the suggestions stated below. Even during winter or if you live in a relatively cloudy country, make sure to always use sunscreen on your face. SPF 15 is the best to always have in your purse or backpack. During summer or if you live in sunny countries, not only make sure to apply a higher sunscreen (SPF 30+), but also maintain yourself hydrated with plenty of water. Applying sunscreen once a day will not be sufficient. Make sure to reapply! During winter, reapply every 5-6 hours. 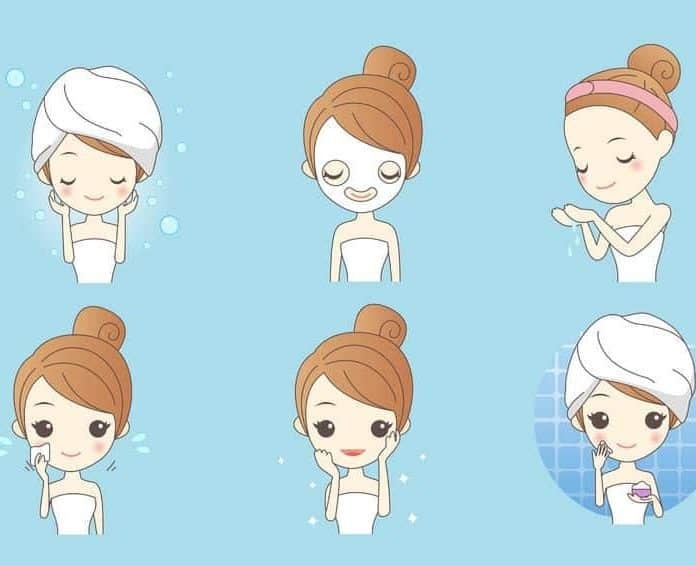 In summer, reapply every 2 hours or more if you are sweating or taking baths. Additionally, wearing protective clothing is a very good way how to prevent wrinkles. For example, you could wear hats, sunglasses, and long sleeves.